since all of this i unspooled my cable to straighten it out and my motor sized on winching my cable out vary odd, so i disconnected the control pack and tested the winch motor itself and i got nothing. so its time to tare the winch down and out of the front bumper and do some investigating on whats going on on, and why its not working, now keep in mind all i was doing was unspooling my cable with no load on the motor not running the motor any longer then i have controller wire length "ruffley 15 feet ." so i don't think i got the motor hott so i'm thinking its got sized in the houseing by chance but any ways i will provide updates on that when i get the bumper off the truck. all three trucks have dual batteries systems in them and all three trucks systems are complete different from each other so shall we begain all the fun!!!! having problems finding the best way to get pixs up with minimal amount of effort for resizeing them can lol can any one help with this is there a way to just chnage my restitution on my phone and post right off my phone such say with tapatalk? So these are the alternators that I have chosen the very first alternator the single alternator in the picture is a 210 - 0406. This is a factory Jaguar nippondenso 3 wire round plug 120 amp alternator. This will be the replacement for my 1984 Toyota pickup. 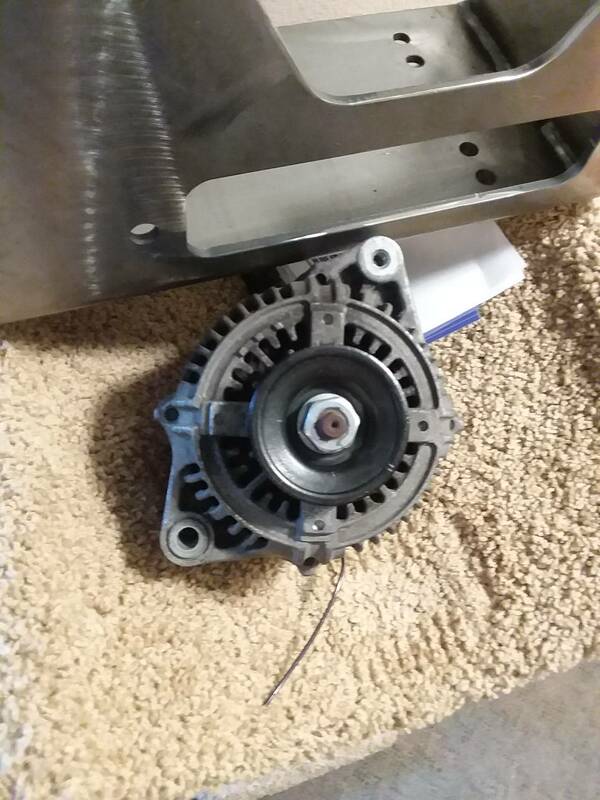 This alternator will replace the 70 amp unit and will be a amperage jump of 50 amps over stock configuration. 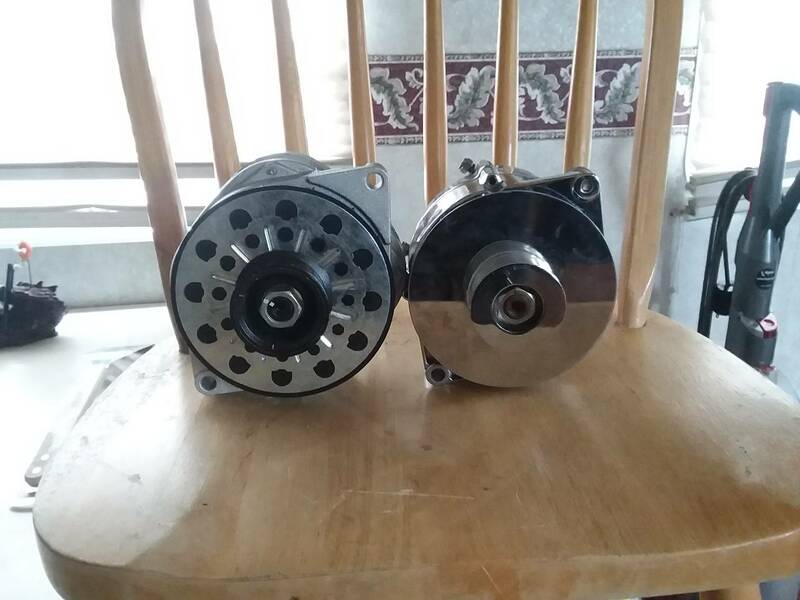 These alternators were designed for Vixen and Holiday Rambler motorhomes and are considered a more commercial grade and more robust alternator. How does the lower mount of the Jag compare to the Toy? Looking at the picks on Rockauto, if the plugs are wired the same, it could be a bolt-in replacement. Great, that just leaves the wiring of the plug, which if it isn't wired the same would be an easy fix. Looks like I Will have to grab one next trip to the wrecking yards. What version of Photoshop to use.